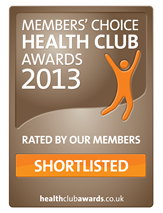 We are delighted to announce that both The Armoury and Westminster Gym have made it through to the final of the Members Choice Health Club Awards. These are the ONLY awards in the industry where winners are selected purely on the feedback from the people that use the facilities – THE MEMBERS. The Health Club Awards in partnership with Health Club Management is open to all private health clubs, gyms and leisure centres (provided they have gym facilities as part of their offering to members) in the UK. From February to April each year competing clubs encourage their members to complete an on line questionnaire rating them on their facilities, customer service and importantly value for money. Lastyear 37,000 members voted for their respective facilities. Winners will be announced at a gala dinner during Leisure Industry Week in Birmingham in September.